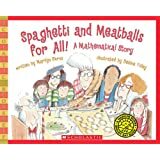 Math Is CATegorical® introduces basic math concepts for young readers and reveals that sometimes math is easier to show than explain! This series helps children add up just how fun math can be! 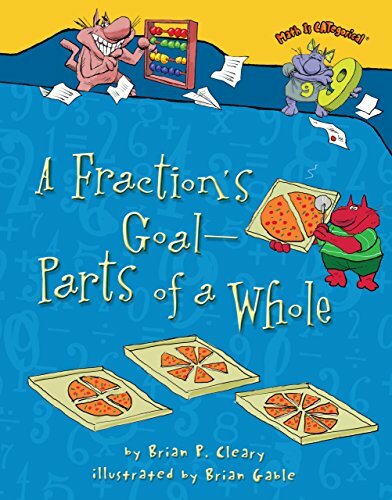 Start reading A Fraction's Goal — Parts of a Whole (Math Is CATegorical ®) on your Kindle in under a minute. Brian P. Cleary is the author of the Math Is CATegorical® series, the Adventures in Memory(tm) series, the Sounds Like Reading® series, the Food Is CATegorical(tm) series, and the best-selling Words Are CATegorical® series, including Stop and Go, Yes and No: What Is an Antonym?, How Much Can a Bare Bear Bear? : What Are Homonyms and Homophones?, and To Root, to Toot, to Parachute: What Is a Verb? He is also the author of Rainbow Soup: Adventures in Poetry, Rhyme and PUNishment: Adventures in Wordplay, Peanut Butter and Jellyfishes: A Very Silly Alphabet Book, The Laugh Stand: Adventures in Humor, and The Punctuation Station. In addition to his work as a children's author, Mr. Cleary has served as a tutor in an adult literacy program. I love all of the Brian Cleary "Words are Categorical" and "Math is Categorical" books, and this one is especially well-done. It illustrates fractions visually, just as the cover suggests. 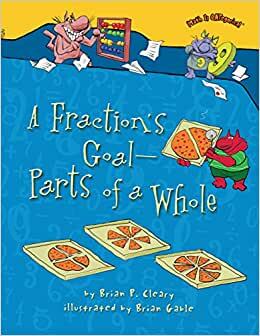 These can really be used as textbooks to introduce a subject, and there is even a final page of "exercises" where the kids are asked to identify examples of the subject matter, in this case fractions. It is appropriate for kids of any age who are interested enough to sit through a reading and pay attention. 5.0 out of 5 starsMy lower and upper elementary students love them. This series of books is one of my favorites for introducing new mathematical concepts in the classroom!! My lower and upper elementary students love them. Great book! I love all of these books in the series! Love the catchy rhymes! I own practically every book in this series. Really helps my child understand the concepts taught.